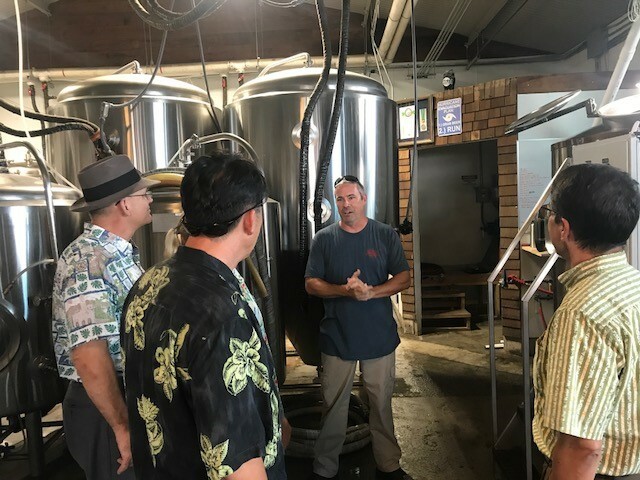 In July, HSBP members were treated to a fabulous tour about how beer is made. 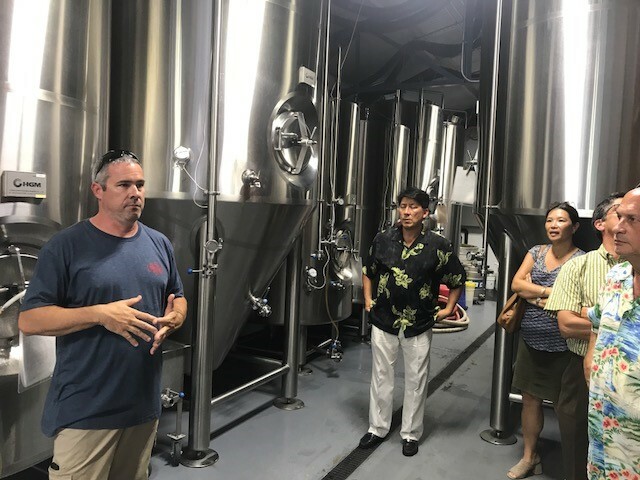 Geoffrey Seideman of Honolulu Beerworks took members around his Kaka’ako headquarters and explained how the ancient art of beer making had not changed that much. 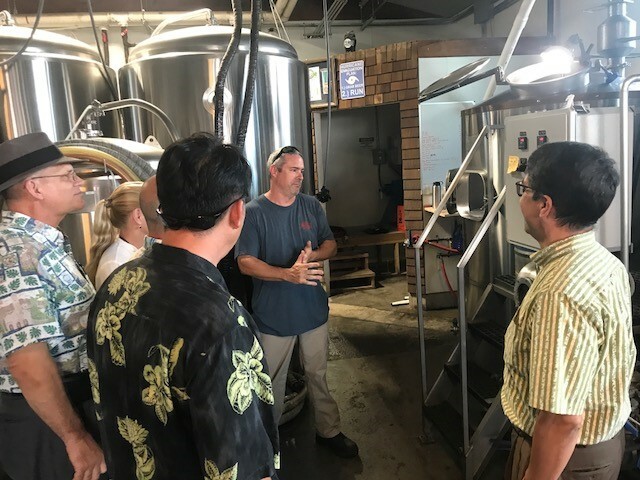 Starting with specially sourced grains, hops and yeast, he carefully blends, heats, ferments, cools, then taps his recipes into delicious beverages that we all enjoy. 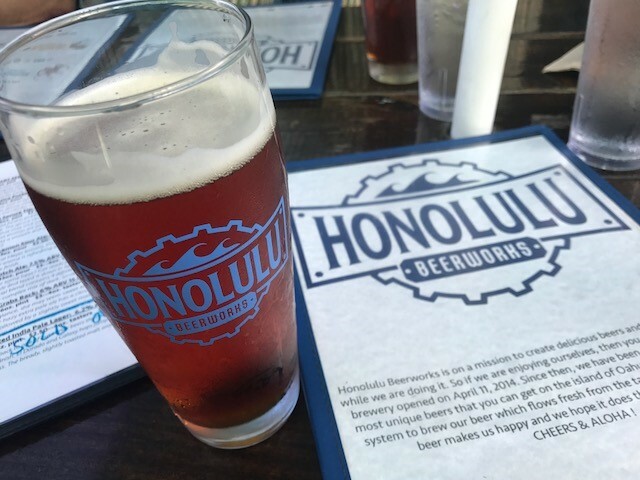 Launched in a 3,000 square feet area, Honolulu Beerworks has grown to use over 5,000 sq. 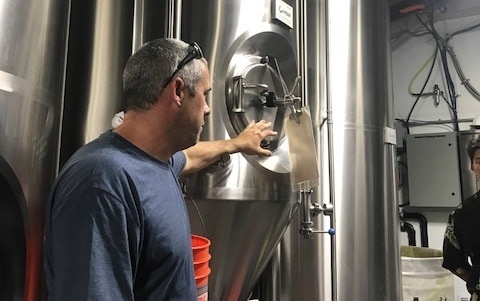 ft. and is now fully tapping its 7-barrel brewing system, growing into space from the next door neighbor and leasing off-site refrigerated storage space. 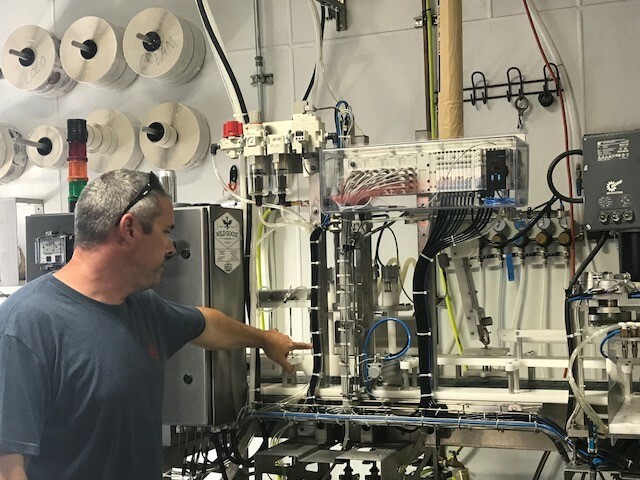 In the last six months, the company has started canning and you can now find many of their varieties in Whole Foods, Down to Earth, Tamura’s, Village Bottle Shop, and soon many more. 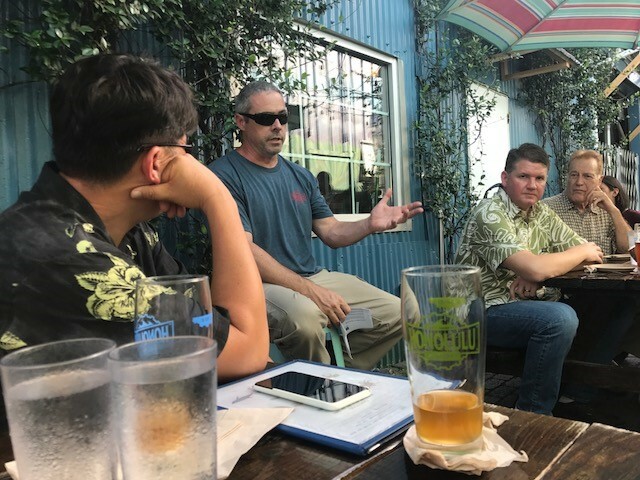 The most recent development has been hiring a distributor (as opposed to self-distribution) – so hopefully we’ll be able to buy their beer in our local grocery stores in the near future!